Another year over, a new one just begun - the 2018 season saw meteoric rises for some clubs' membership tallies and 2019 is set to be no different. 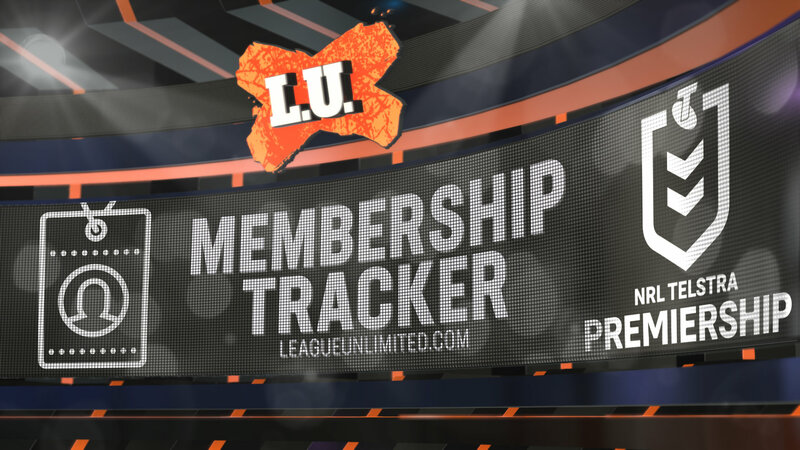 Follow along with how all 16 clubs are tracking ahead of the 2019 NRL season. Good luck to your NRL club in 2019! 33,066 34,342 36,420 36,298 36,203 28,556 Join! 28,618 27,693 29,189 30,220 32,813 35,311 Join! 23,847 23,794 25,145 24,501 23,779 22,824 Join! 23,000 22,628 25,105 20,507 17,518 14,788 Join! 20,000 18,983 21,197 19,181 17,932 18,117 Join! 19,525 15,613 18,017 13,370 12,110 14,021 Join! 19,441 17,912 20,477 20,248 20,195 19,884 Join! 19,204 15,948 20,794 18,074 14,879 9,342 Join! 18,290 18,642 20,055 19,091 15,239 10,025 Join! 16,996 15,088 18,566 18,190 18,350 10,962 Join! 16,397 16,331 23,437 22,278 19,676 14,330 Join! 15,812 16,857 19,570 18,833 20,703 18,240 Join! 15,205 15,030 15,802 15,613 14,325 10,610 Join! 14,082 14,136 16,044 16,001 14,458 16,682 Join! 11,624 11,853 12,430 13,163 13,351 12,265 Join! 7,691 8,634 10,748 10,914 10,278 11,508 Join! Don't forget to check back regularly for updates!